I found something crafty and really fun to alter! It's a wooden embroidery hoop. I found this little item in the Paper Issues online store. 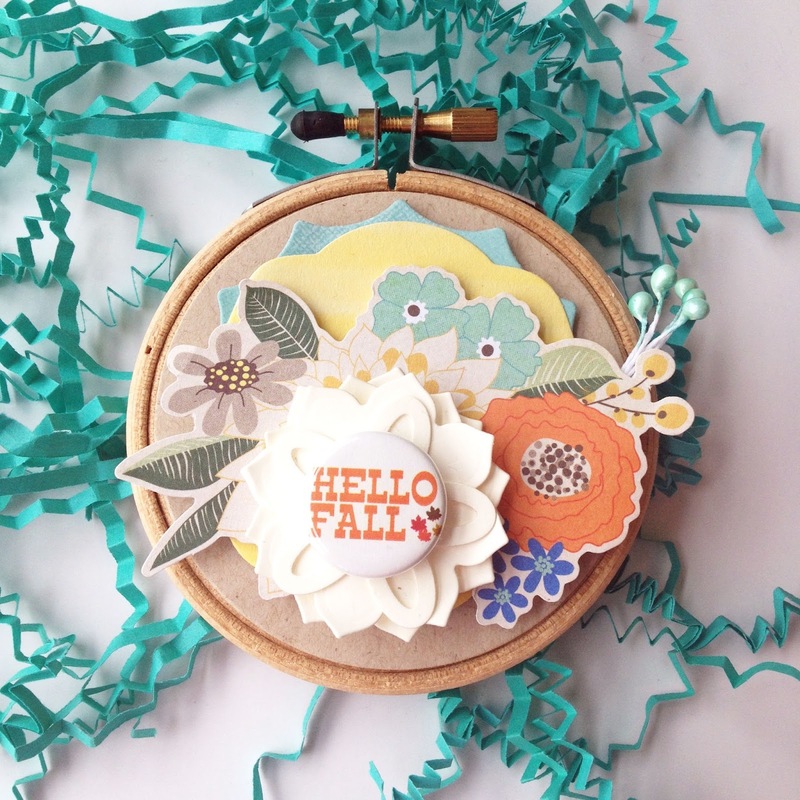 I made it in minutes using paper scraps and embellishments that have been sitting in my craft room for a really loooooong time! And did you notice the "fall themed" button flair? 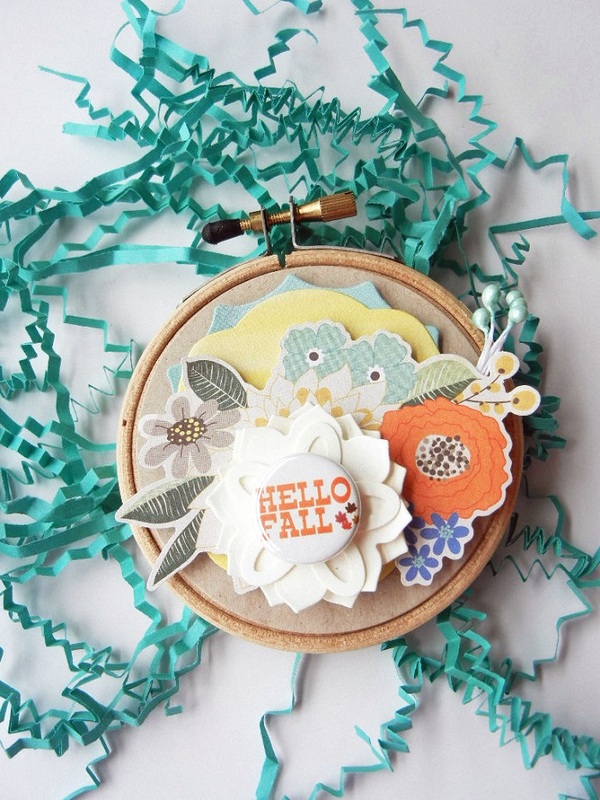 I got it from the Feed Your Craft online store. The colors coordinate so well with my paper too. 1. Use a circle die to make a paper circle. (The hoop itself is 3" so be sure to use a die that is close to that size). I used kraft paper and adhered it to the front of the hoop. 2. Layer on several sizes of paper and embellishments. 3. I topped mine off with a layered die cut flower. I simply added my button flair to the center of my flower. I am making a bunch of these to use as gifts for family and friends. I am sooo addicted to these hoops now and am linking up to Paper Issues "Fan-Atics" link up. Soooooo gorgeous! I love embroidery hoops!!!!!!!!!!!!! Talk about layered gorgeousness! Totally love it!! Oh, this is sooo sweet! Love the layers!! So cute!! Great idea for gifts!! !